Do you have a will? If so, have you reviewed it within the last five years? 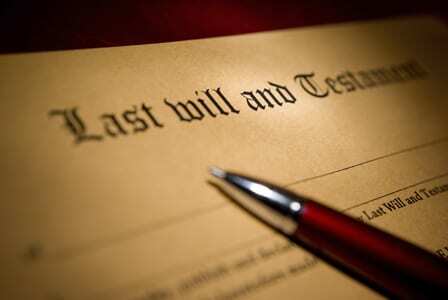 Do you know what will happen to your estate if you pass without a will? State law will decide where your estate goes if you don’t have a will. Have you thought about a trust? Are your assets protected? A trust can be useful both in avoiding estate taxes and probate proceedings, and also in protecting assets from creditors. 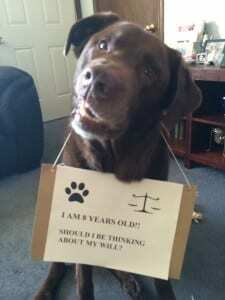 Have you discussed your financial issues with your loved ones? What about your end-of-life health care choices? It is important to have open communication about these things. Do you have an advance health care directive (living will)? It may be used to direct your end-of-life health care choices, and also to name an agent to make health care decisions for you when you are not able to do so yourself. Do you have a plan for handling your finances in the future? A power of attorney can be a practical way to get assistance when needed. Have you considered long-term care insurance? The cost of assisted living can erode an estate fairly rapidly. Make that discussion part of your estate planning. Are your beneficiary designations up to date? (Life insurance, annuities, retirement plans.) Many assets need to be described correctly in your designations so they go to the people you want to have them and so your choices fit with your overall estate plan. Do you own a small business? If so, have you thought about what will happen to the business when you are no longer around to run it? There are many issues to consider: choice of entity (corporation, partnership, limited liability company, sole proprietorship), buy-sell agreements with partners and associates, life insurance to cover ownership share, effect of gift or estate taxes and capital gains taxes, appropriate successor or successors. Planning one’s estate is something that most of us put off and put off. However, not having a plan in place when it is needed can have serious consequences. We are always happy to discuss your individual estate planning needs and to help craft a plan that will satisfy your wishes. Contact Rick O’Brien for assistance with wills, estate planning, estate administration, or probate needs. Our team of dedicated Maine lawyers have chosen the law as the career which we believe best enables us to serve our clients and community. We look forward to the opportunity to serve you.